I still remember my earliest memory of cooking. It was when i cooked my first meal for the family. That time i was only 15 years old. The menu was simple like rice, mix dal, aloo fry, tamatar ki chutney and curd. Even every one wants to be best cook in the world. That’s why here i am giving best sites to learn Indian cooking recipes and specially best Indian recipe sites in Hindi. sometimes staying away from home we little bit miss cooking in own kitchen. Also we crave for mom’s food. Although we may have busy schedule leaves us with no time to cook, but we love to cook, if there is free time.we can definitely prepare a small meal well. Never wish to give up anyone now you can make any dish within 5 minutes whatever it will be like chili chicken,pane-er, dum pukht biryani, chocolate mice,gulbjam any India dish. You may find out best recipes in these sites. 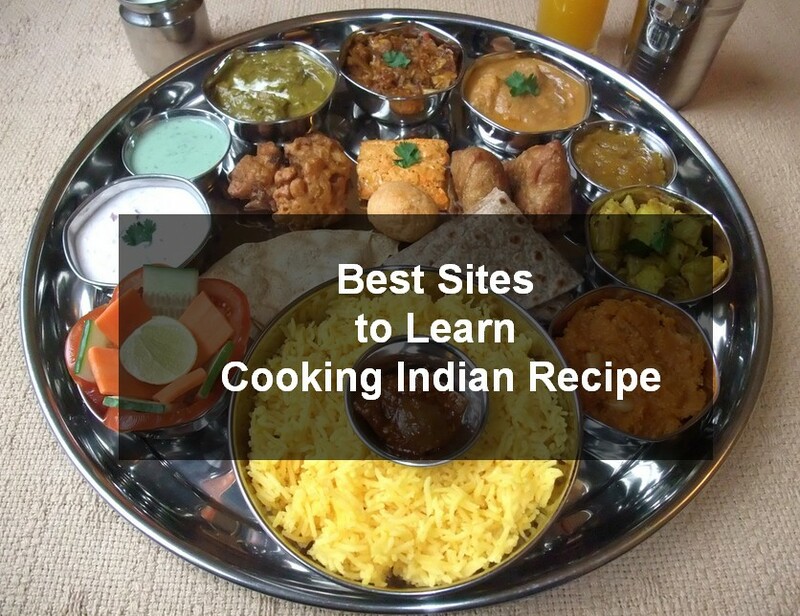 Here i am presenting top 5 best sites to learn cooking Indian Food. Are you Afraid to learn to cooking,do not be panic at all,just explore by using these cooking sites. In these sites you may find out cooking methods, cooking trick and tips, cooking times, festival dishes. We already know how to cook but there is always more to learn in a simple way.you may find out some ways to improve your cooking skills. Even you can clear up your doubts about any recipes. These websites provides all information about cooking. 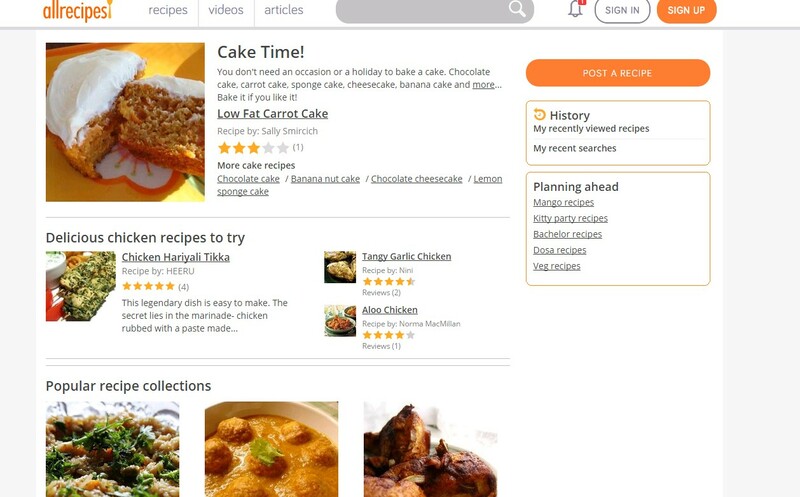 Here i am giving best sites to learn cooking. Allrecipes is one of the best leading sites in India and the world’s popular online cooking site and it is most active online food serving more than 1 billion visits, even they provide home cooks to confidently accomplish all their cooking goals – no matter how amount it will be Home cooks founds and share food ideas and experiences with Allrecipes cookers. All recipes almost provide different languages also,i hope you may find out best way to learn cooking on this website. Sanjeev Kapoor is known as best Indian Chef. he specially create a website for Indian lovers where Indian people can follow his online cooking methods and Indian dishes. Even he provides all types Indian item,special articles for cooking. Even there is a chance to ask your doubts in his website. You can send message to his website. I think it’s best to start Indian cooking. Food dot com website is one of the most searching website for online cooking. This website provides all types of variate ‘s what ever you want you may get to know on this website. You will come to know each and everything like veg non veg juice. You will get north dishes, Chinese also. Even this website some tips for diet people they also give some dishes for diet people. Epicurious.com is one of the leading websites in all over world. this website provides very simple recipes where every one try at their home. you can get any dishes like meal, meat, non veg train, fish, vegetable, mushrooms etc. Even they will explain the vitamins and calories how much we should take in every day. They will give some information about diet and healthy conscious. It’s a good site for beginners. Group Recipes will provide some great recipes . where they can share with some social network sites like face book, twitter. They will provide all the information about cooking methods, cooking tips, and cooking times. you may find out more taste recipes on their website. I started learning cooking online and when you are planning to start, you know what before i thought that i can never be a good cook but this time it’s totally wrong, now i am very good cook. People love to eat my dishes. I am very good at Indian Recipe cooking. I will soon start my own Youtube channel to teach Indian food cooking online.